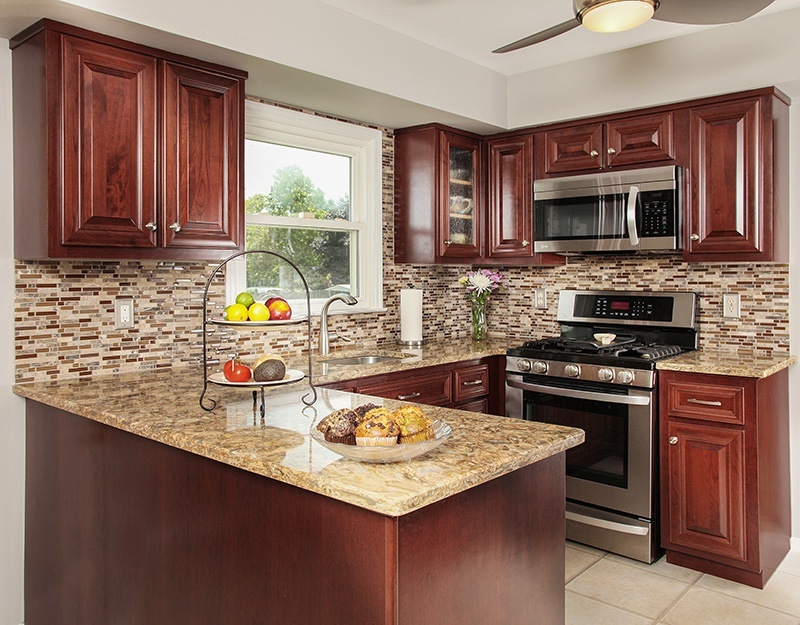 Having a hard time choosing a backsplash that feels "just right" for your kitchen? Perhaps it's time you explored the realm of glass. There is really no limitations when it comes to size, color and pattern options, and cleaning is a cinch. Also, glass tiles have a luminous quality that adds a shimmer and radiance to the finished design. Here are 5 reasons why designers love using glass tiles for kitchen backsplashes. Like granite or quartz, glass backsplashes can come as a single piece - like a slab - that is cut specifically to fit the relevant wall space. Unlike granite and quartz, however, glass can also be much smaller shapes and sizes, so you can find glass tiles ranging from large rectangles or squares to itty-bitty mosaic pieces. This allows homeowners a great deal of flexibility when it comes to layout patterns and texture. Another interesting feature of glass? Between color, shape and finish options - your glass tiles can add a good dose of texture to the kitchen. This is most important for modern kitchen designs, which can err on the side of too sleek and streamlined - to the point that the kitchen is a bit boring. Glass tiles are a happy medium, using a modern design feature to gain a little texture boost. Another thing about glass tiles? They're available in clear or opaque colors. That adds a whole different level of design-ability when creating a pattern or the final look you want. Clear tiles have a luminous surface that is rarely found in more traditional tile mediums, This provides a creative way to add shimmer, shine and a reflective element to the tile work. This feature also comes in handy when matching a backsplash to tricky countertop patterns - such as granite, quartz or marble. With glass tiles, you can find shimmery options to echo the natural crystals that comprise the countertop materials, and almost any color is available. 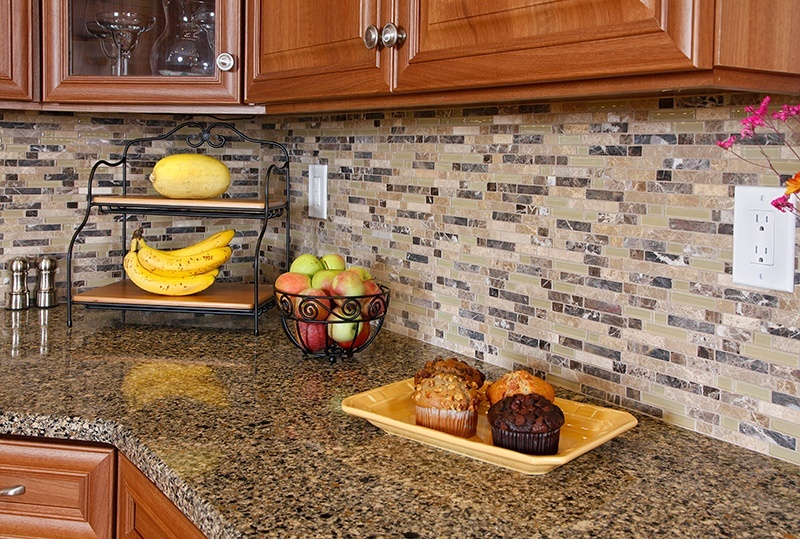 If you can dream it, it can be designed into a backsplash. Mosaic work has been used for thousands of years. You can use glass tiles for simple but effective subway tile patterns or you can go crazy and create complex mosaic images. Geometric patterns are also an option. Even better news? Many pattern options are already created for you - and are applied using easy-to-install sheets - which simplifies backsplash design/installation. 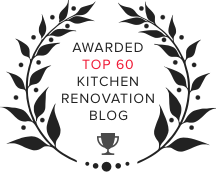 Are you interested in designing an eco-friendly kitchen? Odds are you're looking into sustainable finish options, like bamboo cabinetry or quartz countertops. 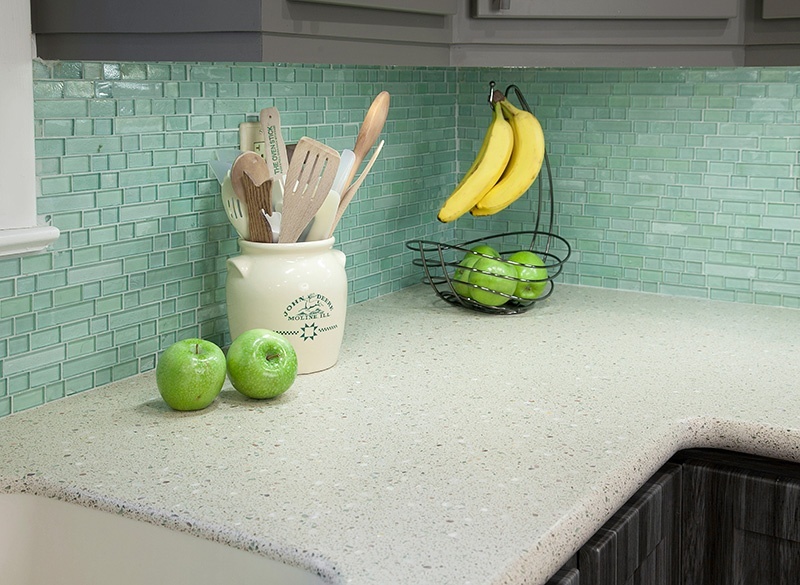 Let your kitchen designer know sustainability is a priority for you, and they will source glass tiles that are made using pre- and post-consumer products. Installing glass tiles demands a professional touch because any imperfections in the finish surface will show through. Once installed, however, maintaining your glass tiles is a breeze. Glass is a non-porous surface, so nothing can "sink in". In most cases, all you need is a spray bottle of glass cleaner (you can make your own using 1/4 cup white vinegar, 1/4 cup rubbing alcohol, 1 Tbsp. cornstarch and 2 cups water) and a soft cloth or sponge. It's that easy. Interested in exploring the world of glass tile kitchen backsplashes? 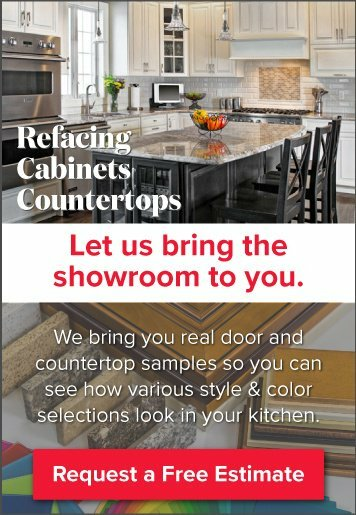 Have a Kitchen Magic consultant come out and show you real-life samples. There's a stunning option for every kitchen. Download our free guide below to see even more beautiful kitchen designs.